Since beginning this blog, I’ve really cut back on the freelance design projects I used to work on (outside of my full-time job). It could could be because I’m getting old(er) and find that I simply can’t do as much as I used to do. Or it could be that I simply don’t want to do more work – I’d rather spend more time with Pops, my daughters and grandsons. And, really, it could be a combination of all of the above. 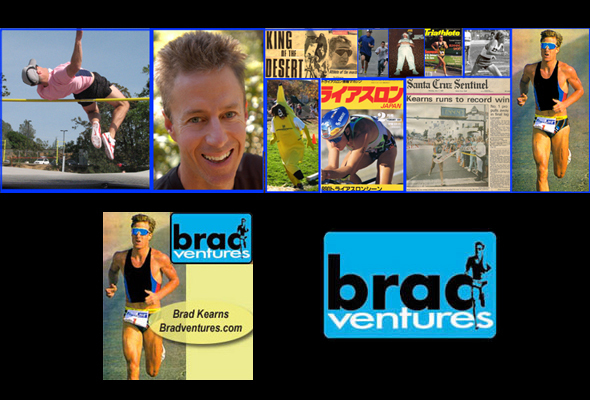 However, I do have one client, who I’ve known for many, many years, that I still do some work for – my friend Brad Kearns. If you strive to be more fit and live a healthier life, he’s the guy you need to know. Brad really walks the walk and talks the talk. Pops and I met Brad years ago when Pops and Brad co-announced triathlons together. Brad is easily the best (and funniest) announcer I’ve ever heard. He is a triathlete himself – and when he was competitive he was ranked among the world’s best. The first thing you’ll notice about Brad, when you meet him, is his high energy and super positive attitude. He brings this spirit to all that he does. He is also an author, race director (producing the Auburn, CA Triathlon annually, a world-class event in the Sierra foothills that is lauded as the “World’s Toughest Half”), and an executive director of a non-profit organization promoting cardiovascular fitness for kids called Running School. Brad also operates a healthy nutrition products web site called Bradventures.com. He delivers motivational talks and seminars to schoolchildren, corporate groups and community groups, detailing his favorite theme of pursuing peak performance with a healthy, balanced approach. 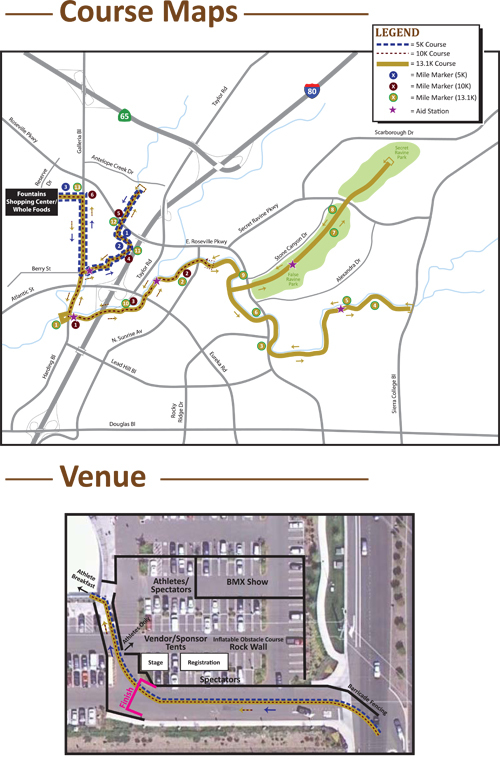 In the meantime, while I review all these “healthy” thoughts I’m toying with, I’ll share with you a couple of the maps I’ve worked on recently for Brad’s events….just because. Now you know, that outside of the office, there are other creative things I do besides changing the colors on my blog. this is so cool! and what an inspiring guy. yes, Brad is unbelievable…though now all I’m thinking about is food, food, food..what should I eat, what shouldn’t I…ugh! I’m obsessed…I’ll admit it! Hi I'm Jen aka Lita a Blogger and obsessed Social Media Influencer who's also a Lover of Family, Disney, Travel, Photography, Gardening, Vegan Food, French Bulldogs and the SF Bay Area (home). Thanks for stopping by my blog! You’re welcome to link to Lita’s World or use a single image with a brief description to link back to any post. Republishing posts in their entirety is prohibited (unless you ask for permission first). Feel free to pin on Pinterest!